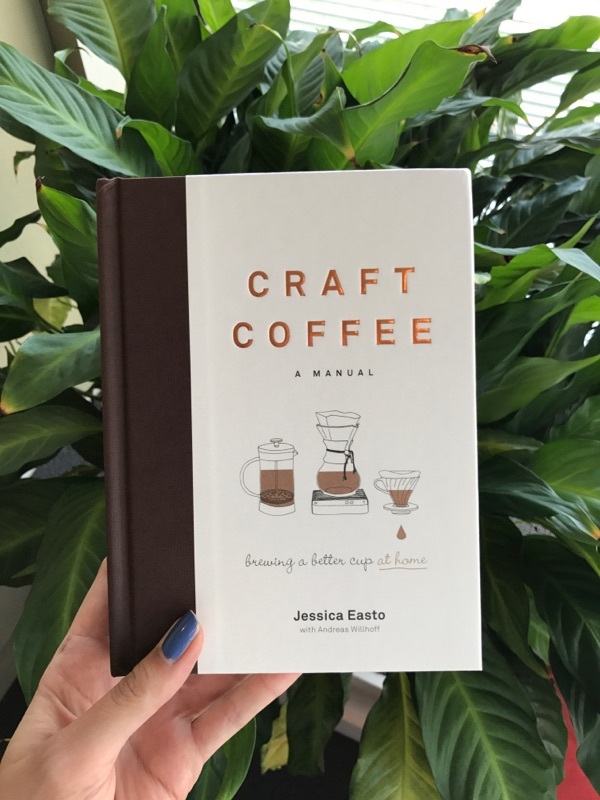 On this most cherished of days, we at Agate turn to the authority on all things beans and brews for guidance: Craft Coffee: A Manual: Brewing a Better Cup at Home by Jessica Easto with Andreas Willhoff. This essential manual, written by a coffee-enthusiast for coffee-enthusiasts, will teach you everything you need to know about making the best cup of coffee ever from the comfort of your own kitchen. Even Booklist thinks this book "belongs in every home barista’s tool kit,” and we have to agree! So give yourself a gift on Coffee Day and PREORDER NOW! Be sure to take advantage of our preorder giveaway. Place your order with any bookseller and email us at craftcoffeebook@gmail by November 1 for a chance to win a 3-month coffee subscription from Halfwit Coffee Roasters! 2. The method and madness behind at-home French Press coffee. Tweet us pictures while you're timing! Happy brewing! Find Craft Coffee: A Manual on shelves on November 14. Most coffee guides will tell you that to make French press coffee, you should pour water over the grounds and let them sit for four to five minutes. I used to make it that way, too. However, thanks to barista Nick Cho of Wrecking Ball in San Francisco, I’ve found that extremely coarse grounds and longer steep times (up to eight minutes) produce a more even, delicate cup. Because of this, Andreas and I have included specs for both the eight-minute method and the five-minute method here—shorter brewing times do have an early-morning appeal, after all. The eight-minute method works best with a very coarse grind. Start with the coarsest setting on your grinder that still produces an even grind (the coarsest setting on our Virtuoso chews up the beans). medium-high heat. Bring to a boil. 2. While the water heats, set a timer for 8 minutes but don’t start it yet. Grind the coffee to an extra coarse size, transfer it to the brewing chamber of a French press, and gently shake the chamber to level the grounds. Set it on a kitchen scale and zero the scale. 3. When the water just starts to boil, remove the kettle from the heat. Start the timer and quickly but carefully add the water to the French press until the scale reads 400 grams. 4. After 30 to 45 seconds has elapsed on the timer, gently stir the water with a spoon until most of the grounds start to sink to the bottom (there will still be a froth with some grounds at the top). Place the plunger over the vessel, but do not depress it. 5. When the timer sounds, slowly and gently depress the plunger. It’s important to do this carefully. Forcefully depressing the plunger will result in an unwanted amount of agitation, and you’ll risk ruining your balanced cup by unleashing the bitter, astringent flavors that are still in the bean. 6. Serve immediately or transfer to a separate carafe. Use any extra hot water to rinse the device. Enjoy! Most of the methods in this section call for a stopwatch. For this method (and the Five-Minute French Press Method), it’s easier to set a timer and wait for it to sound. One of the best things about using a French press is that it’s quick and easy to make coffee for multiple people. But remember, there is still sediment in your brew, and the bulk of it has sunk to the bottom. If you serve multiple people by filling each cup one at a time, the first cup will contain very little sediment, and the last cup will contain a lot—and it won’t necessarily taste that good. To avoid this, pour each cup in waves to distribute the sediment evenly.